This beautifully bred filly is by the rising star and emerging young sire Star Witness. Champion two-year-old colt and three-year-old colt of his generation; Star Witness won the Group One Blue Diamond Stakes and Group One Coolmore Stud Stakes in his brilliant career. An incredibly versatile sire, Star Witness is also the sire of our very own superstar Global Glamour. A dual Group One winning mare, Global Glamour took out the Group One Flight Stakes and Group One Thousand Guineas as a three-year-old and won and placed in five further Group races in her stellar career. Having experienced tremendous success with daughters of Star Witness, we are delighted to have secured this gorgeous looking filly. This filly is out of the well-related and two-year-old wining mare Curl Up. A half-sister to the Group Two winning and multiple Group One placed mare Champagne Cuddles, Curl Up is out of the extremely talented Group One winning mare Sky Cuddle. Sky Cuddle was not only a brilliant racehorse but also a brilliant producer, being the dam of Champagne Cuddles and the dam of a listed producer in Shantha's Girl. Extremely well-related, Sky Cuddle is also the half-sister to five stakes winners and a stakes placed horse. 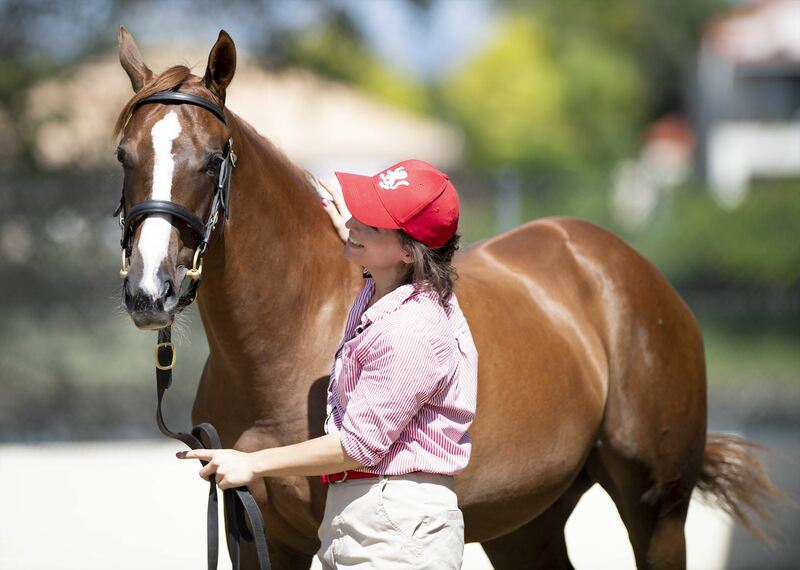 With brilliant racehorses and stakes horses all throughout this filly's page and by a Champion Two- and Three-year-old this filly could be our next Global Glamour. 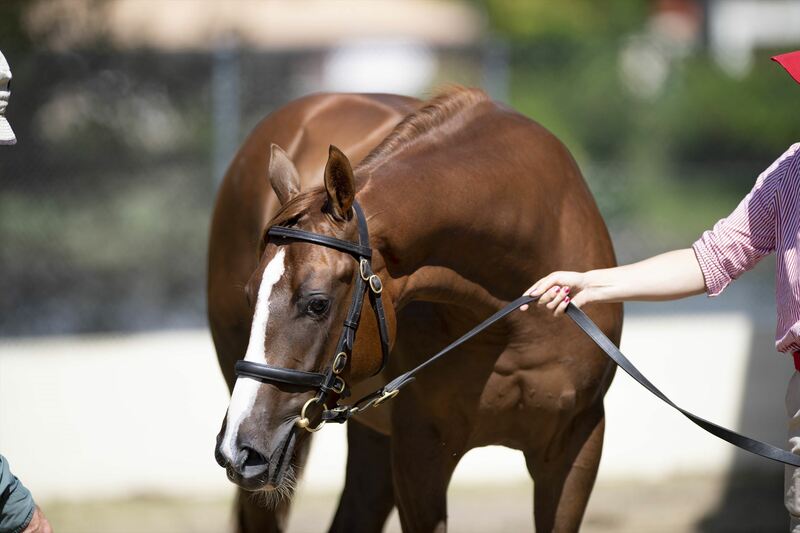 STAR WITNESS (AUS) (Chestnut 2007-Stud 2011). 4 wins-3 at 2, VRC Coolmore Stud S., Gr.1. Sire of 391 rnrs, 235 wnrs, 15 SW, inc. Global Glamour (ATC Flight S., Gr.1), Star Turn, Mella Maria, Fuhryk, Graff, Crown Witness, Our Crown Mistress, Stellar Collision, Cosmic Alert, Lord Balmoral, Lycurgus, Magic Alibi, Pearl Star, The Barrister - High Volatility (H.K. ), Well Sprung, SP Kimberley Star, Serenade, Terminology, Berkshire Lady, etc. CURL UP, by Zizou. Winner at 1200m in Aust. Half-sister to CHAMPAGNE CUDDLES, Shantha's Girl (dam of VIOLATE). This is her second foal. Her first foal is unraced. 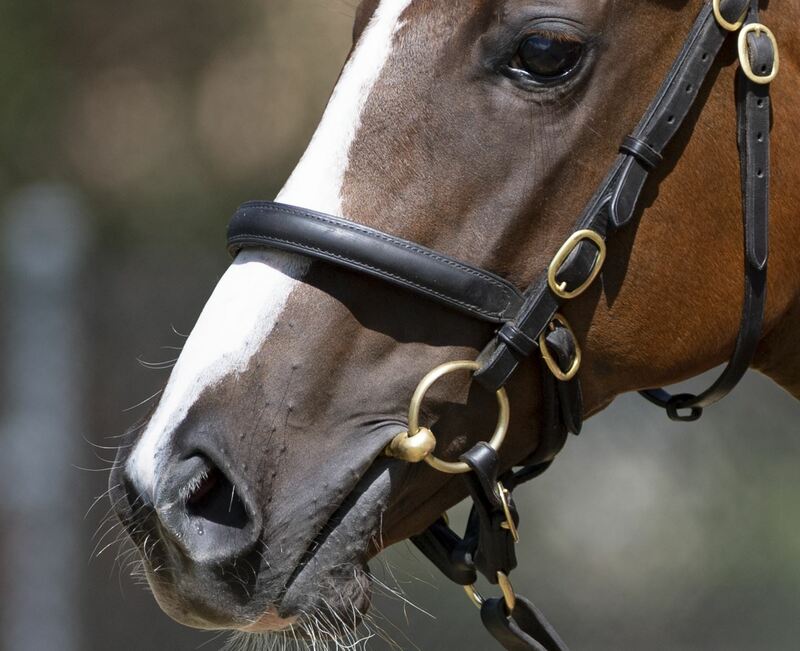 CHAMPAGNE CUDDLES (f Not a Single Doubt) 4 wins-2 at 2-to 1200m, A$1,217,675, to 2018-19, ATC Breeders Classic, Gr.2, Gold Coast Guineas, Gr.3, ATC Pierro 2YO P., Club Redfern 2YO P., 2d ATC Golden Rose S., Gr.1, Flight S., Gr.1, Golden Pendant, Gr.2, Tea Rose S., Gr.2, NSW Tatt's RC Furious S., Gr.2, 3d BRC Stradbroke H., Gr.1, Kingsford-Smith Cup, Gr.1, ATC Sheraco S., Gr.2, Silver Shadow S., Gr.2, VRC Kensington S., L, 4th ATC TJ Smith S., Gr.1. Skytrek. 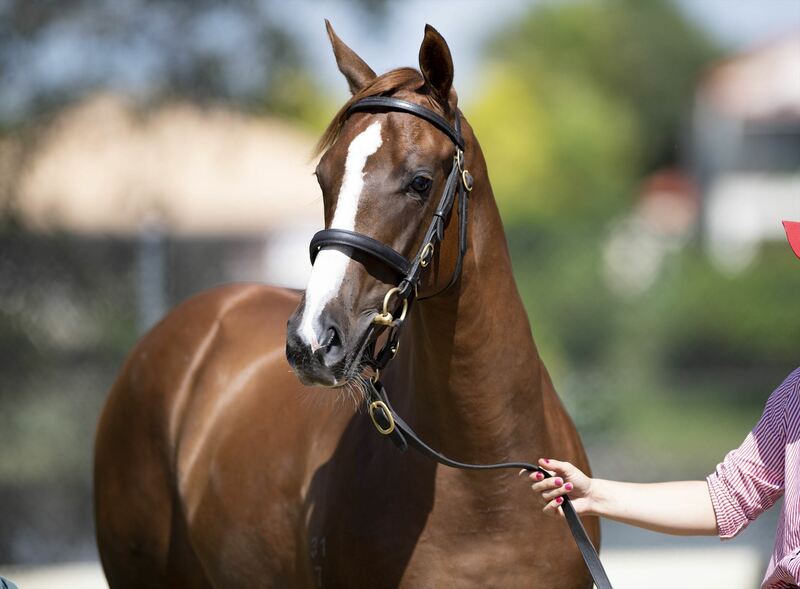 8 wins from 1300m to 2150m, A$211,545, to 2017-18, BRC Casa Cibo H., SCTC XXXX Summer Bright H., Lismore Cup, 2d GCTC Wolf Blass H.
VIOLATE (g Sebring) 4 wins-1 at 2-from 1100m to 2000m, A$473,100, to 2018-19, VRC Shaftesbury Avenue H., Gr.3, Sofitel H., L, MRC Hamilton Reid H., 2d VRC TAB Multiplier Autumn H., Gr.3, BRC Gunsynd Classic, Gr.3, MRC Gothic S., L, MVRC LF Sign Group H., 3d BRC Grand Prix S., Gr.3, Geelong Cup, Gr.3, VRC Star of the Realm H., MRC Grand Hotel Frankston H., 4th BRC Queensland Derby, Gr.1, VRC Queen Elizabeth S., Gr.3, ATC Carbine Club S., Gr.3, BRC Rough Habit P., Gr.3. SKY CUDDLE (f Snippets) 6 wins. See above. HIGHLY RECOMMENDED (c Fastnet Rock) 2 wins-1 at 2-at 1000m, 2050m, A$298,925, MVRC Alister Clark S., Gr.2, VRC Lort Smith Animal Hospital 2YO H., 2d VRC Carbine Club S., Gr.3, 3d VRC CS Hayes S., Gr.3, MRC Gothic S., L, Manfred S., L, Swettenham Stud 2YO H., SAJC Patinack Farm H., 4th MRC Sandown Guineas, Gr.2, VRC Poseidon S., L. Sire. SKY LOVE (f Octagonal) 5 wins from 1450m to 2250m, A$231,825, SAJC Christmas H., Gr.3, Qld Tatt's RC Tattersall's Cup, Gr.3, MRC Ava H., Hedingham H., 2d MRC Bramerton H., 3d SAJC Durbridge S., L, MRC Robert Hunter H., Le Pine Funeral Services P., MVRC Andale Beer Dispensing Equipment Mile H. Producer. HINT (g Reset) 9 wins from 1600m to 2200m, A$19,030, 394,792Rgt., S$391,212 in Aust., Malaysia and Singapore, Penang TC Yang di Pertua Negeri Gold Cup, L, Singapore TC Open H., Singapore Botanic Gardens H., Charity S., Ninetyfive Emperor H., Class 4 H.-twice, 2d Singapore TC Revolte S., Phenom S., Kranji C S., Top Spin H., 3d Singapore TC Vigcon S., Benchmark 97 H., Kranji C S., 4th Perak Derby, L, Singapore Gold Cup, L.
UNDENIABLY (g Fastnet Rock) 5 wins to 1400m, A$354,545, MRC Christmas S., L, VRC Flight Lieutenant Peter Armytage H., SAJC Schweppes H., MVRC Legends H., 2d MVRC Australia S., Gr.2, MRC Doveton S., L, 3d MRC Tony Vasil H., 4th VRC Newmarket H., Gr.1, MRC Oakleigh P., Gr.1. 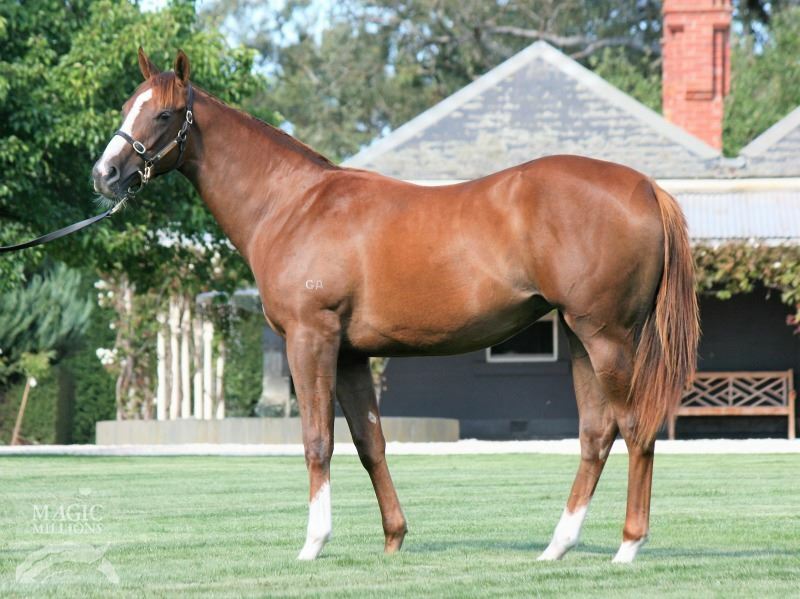 Strive to Excel (c Redoute's Choice) 2 wins at 1600m, 2400m, 3d Tasmanian Derby, L.
FAST CLIP (g Snippetson) 6 wins-1 at 2-from 1100m to 2000m, A$502,030, ATC Tulloch S., Gr.2, Doncaster Mile Prelude, Gr.3, AJC Royalrandwick.com H., ATC Randwick Betting Auditorium H., STC Rosehill Gardens Event Centre 2YO H., 2d ATC Shannon S., Gr.2, Phar Lap S., Gr.2, STC Cleanevent H., 3d ATC Theo Marks H., Gr.2, Liverpool City Cup, Gr.3, Warwick Farm H.